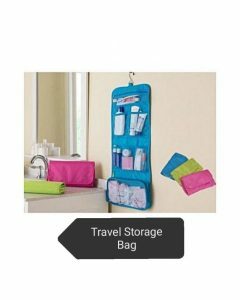 Online Shopping in Pakistan Travel Storage Bag – Keep Multiple Products with Free Home Delivery and Payment On Delivery.Travel Storage Bag – Keep Multiple Products (Product Code: ) offer by DiscountMall at just ₨900/- instead of Rs 1100/-, enjoy Fast Shipping with FREE HOME DELIVERY. The Medication Travel Bag is unique, combination lockable bag that makes certain your belongings are safely stored when traveling. Perfect for holding vitamins, head ache and allergy medicine, as well as other over the counter medication. 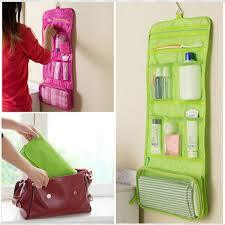 The Medication Travel Bag adds the perfect complement to your standard toiletry bag. Equipped with 6 flexible elastic compartments on one side, the Travel Bag allows its user to fit bottles of various sizes. Additionally, each Travel Bag comes with a large “catch all” zip locked plastic compartment on the other side, capable of holding any additional items needed for your trip. Well suited for individual or family use, the Medication Travel Bag is a versatile solution for any trip or vacation.